We have been successfully restoring foggy headlights since 2007. Making ugly headlights like new again. This kit has everything you'll need to restore your foggy hazy headlights to look like new. Three easy steps to restore your headlights. This is the headlight restoration kit that professionals use worldwide. Headlight Restoration will improve the look of your car plus increase the safety. We made it EZ4U2 restore your oxidized, cloudy headlights to look like new. Simply give us a call to set up an appointment and we will come to you. We will restore those same ugly looking yellow headlights crystal clear. 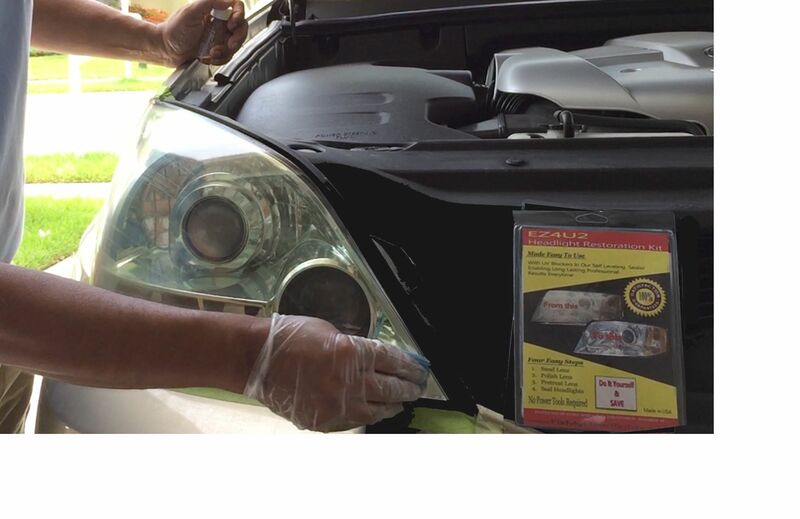 Or DIY (do it yourself) with our easy to use headlight restoration kit. We have made it simple so anyone can clean and restore their foggy headlights to look like new. Whether you choose our service or our DIY headlight restoration kit your headlights will look like new. Your friends will think you bought new headlights. I promise you that you will be happy with either our headlight restoration service or kit guaranteed!. Listen to our customers. WHY should you use our Headlight Restoration Service? Experience - We have been restoring oxidized headlights for over eight years. 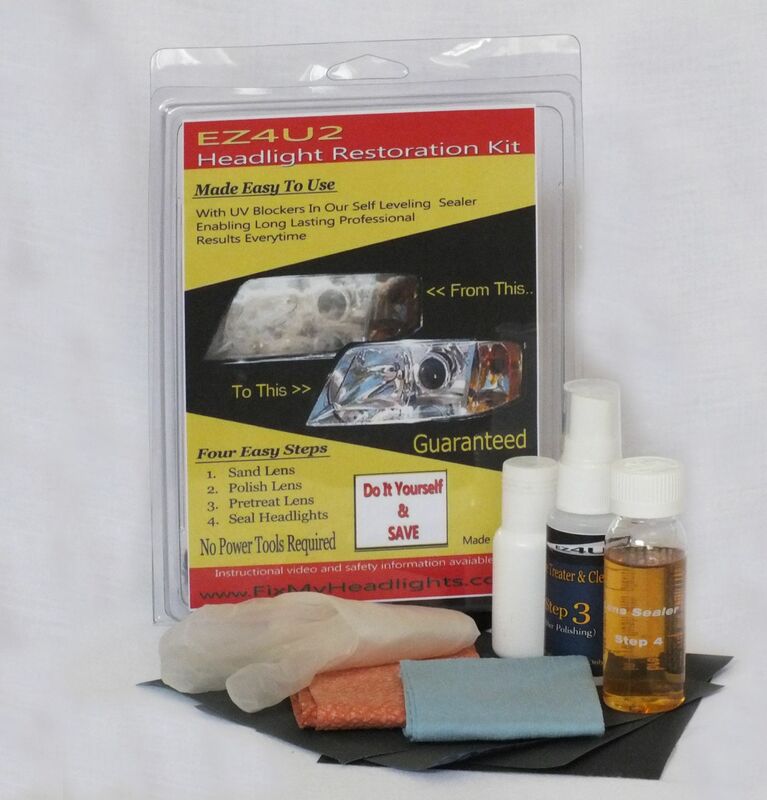 WHY should you use our Headlight Restoration Kit?